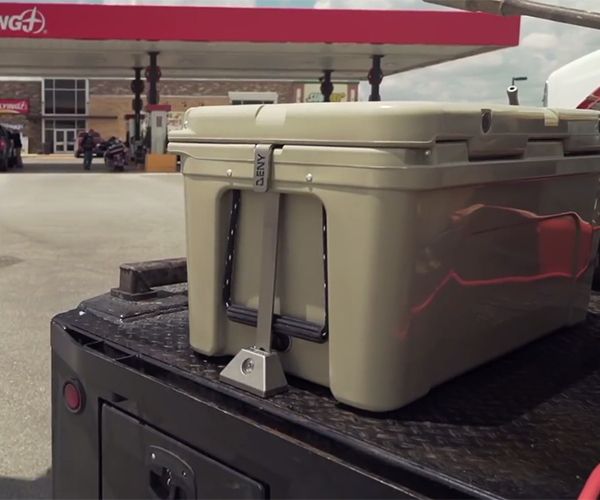 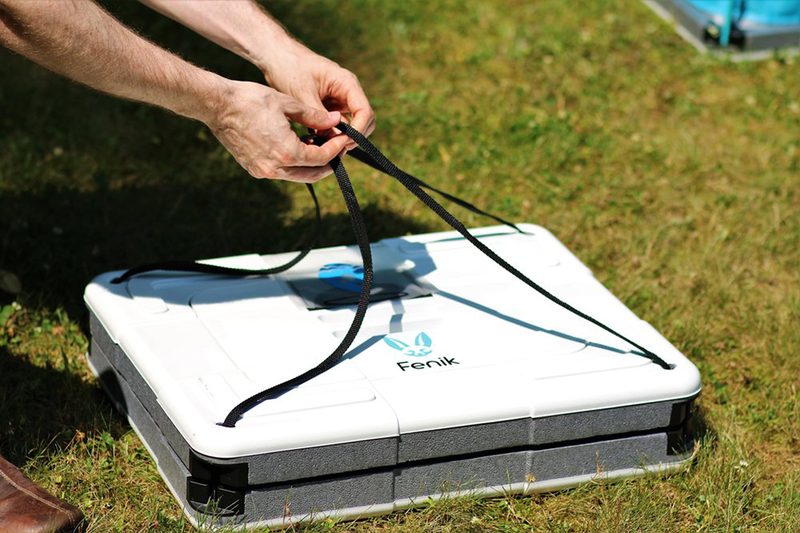 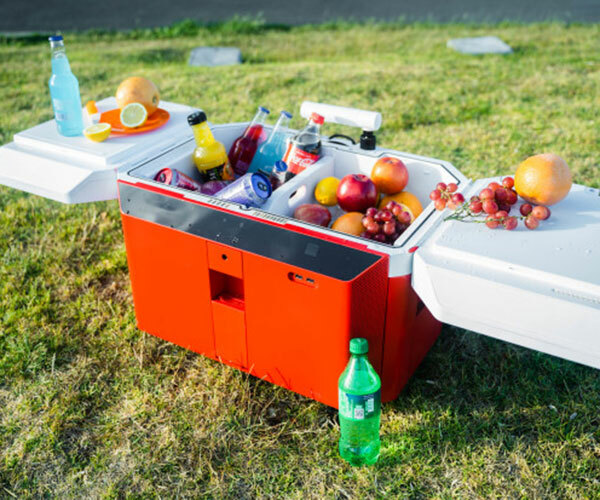 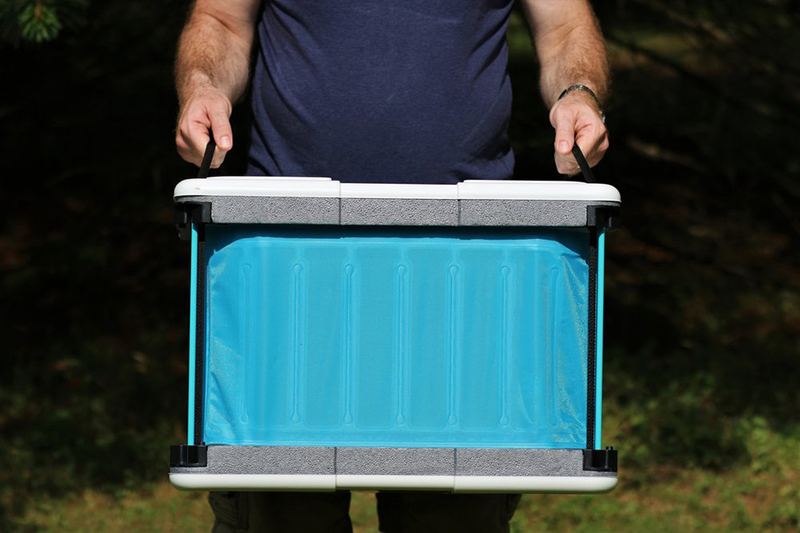 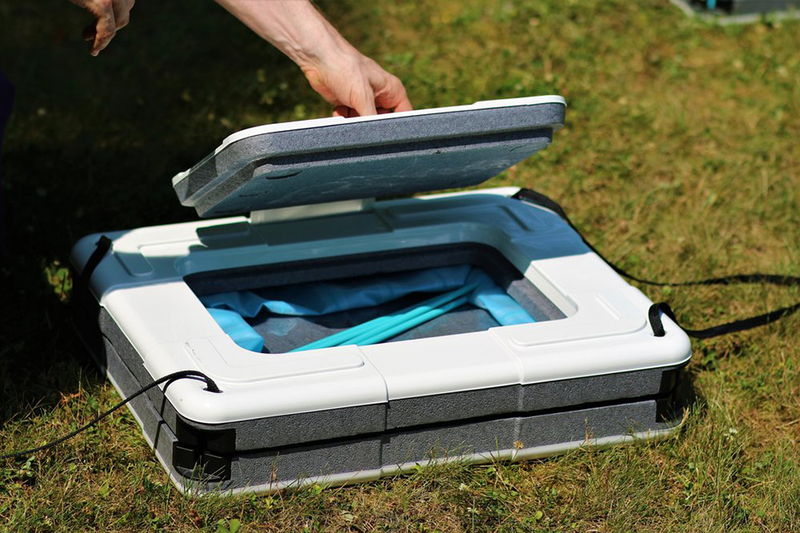 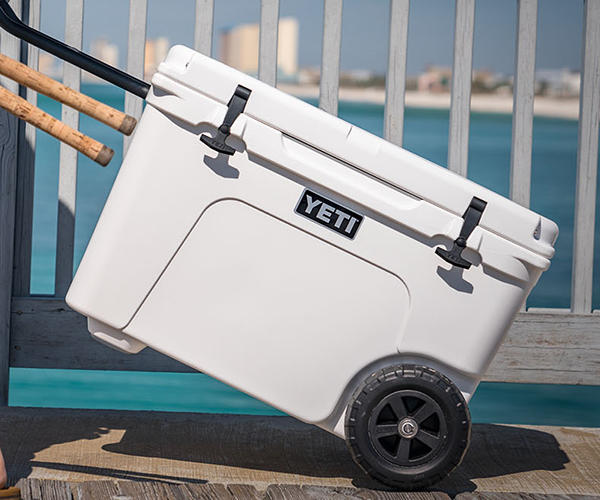 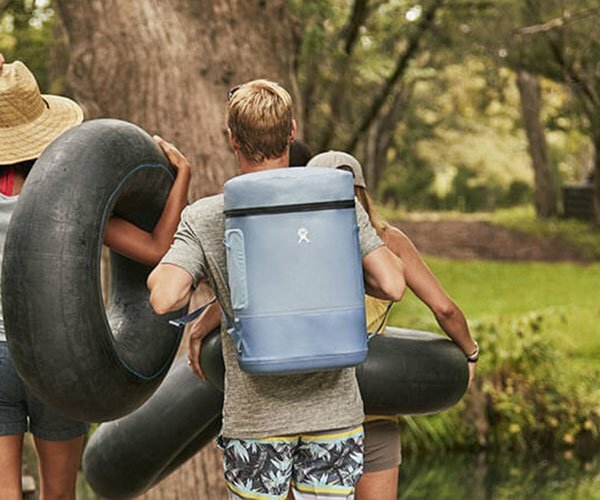 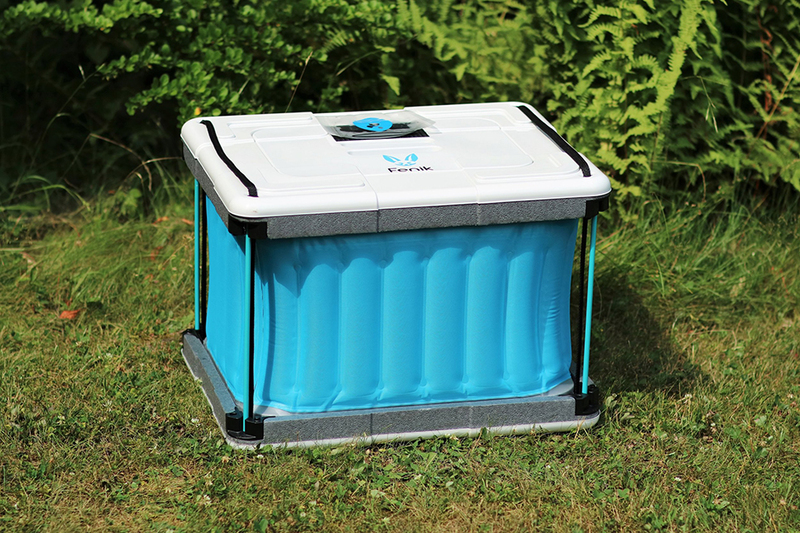 Fenik’s Yuma is a cooler meant to store food and dairy products. 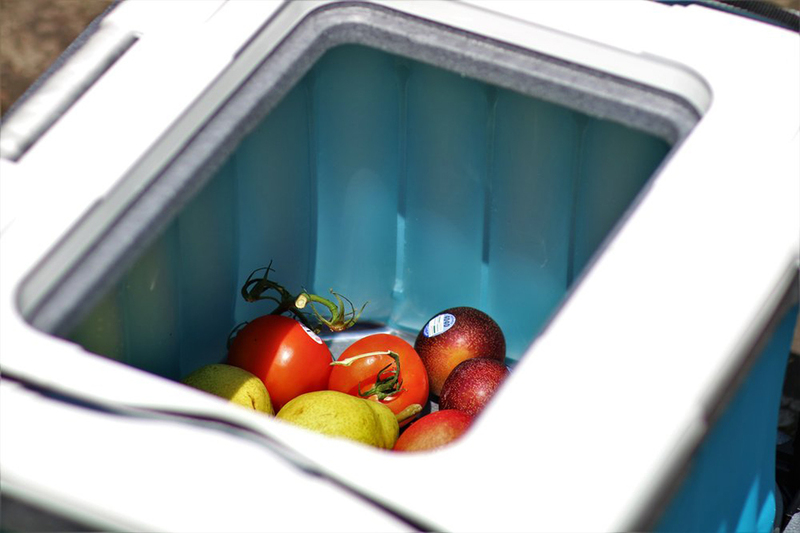 You fill up its bladder with water, and it will absorb heat from the inside and direct it to the water, which gets turned into vapor. 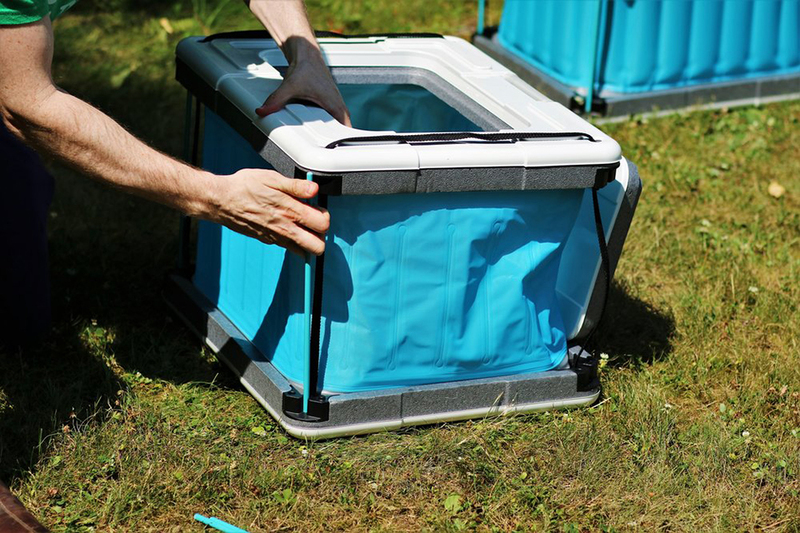 It can keep its contents 10ºF to 35ºF cooler than the ambient temperature.